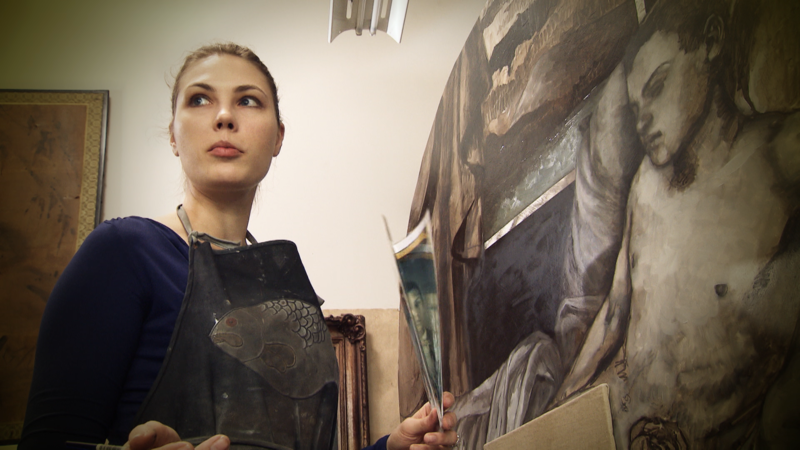 Caitlin Karolczak paints in the old master style but the content of her work is far from traditional. Karolczaks figures are inspired by vintage medical photos and deathbed portraits. Caitlin Karolczak paints untraditional portraits in the old master style.